Strolling along the sidewalks on the Northbank of Downtown, there is an energy not experienced for quite some time. But, has demolition or preservation been the driving force behind that new energy? The former Greyhound Station was demolished last year to make way for another surface parking lot. Today the sounds of bulldozers ripping down the old Courthouse property currently fill the air. Later this year it is likely that the Jacksonville Landing and former Gulf Life Insurance building will meet the same fate. With this confluence of all-too-familiar events, now is a good time to examine what has gone right in the Northbank of Downtown. A look at the former Duval County Courthouse and City Hall being demolished along Bay Street. 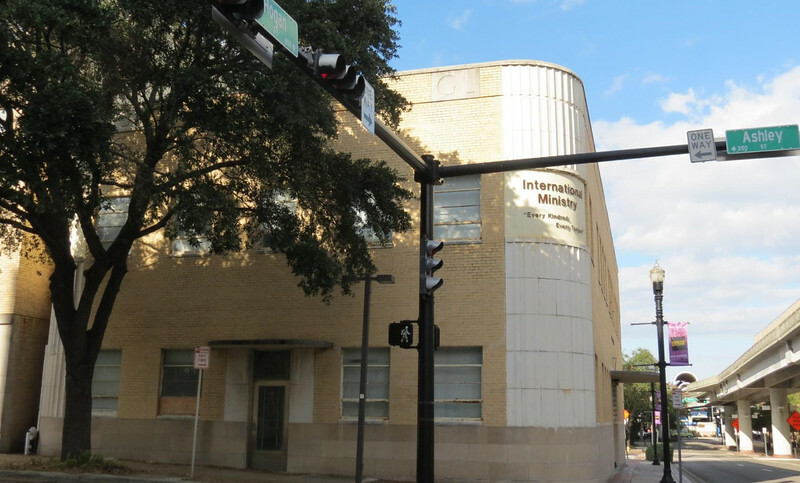 The former Gulf Life Insurance Building at 604 Hogan Street is on track to be torn down this year and replaced by a surface parking lot for the Jacksonville Fire and Rescue Department. Businesses such as Chamblins Uptown are full of life on the weekends, while diners enjoy breathtaking sunset views atop the Cowford Chophouse and children dance through the halls of Sweet Pete’s. These scenes haven’t been imaginable since the crowds descending on downtown from the Super Bowl dispersed in 2005. Indeed, much has changed in the Northbank. Yet, despite an overabundance of empty land dotting the Northbank’s landscape, the progress made Downtown over the past 15 years hasn’t been from the result of new construction. In fact, nothing new has been built at all. Which begs the question, does demolition really promote development? The old Greyhound bus station was torn down for a surface parking lot in 2018. 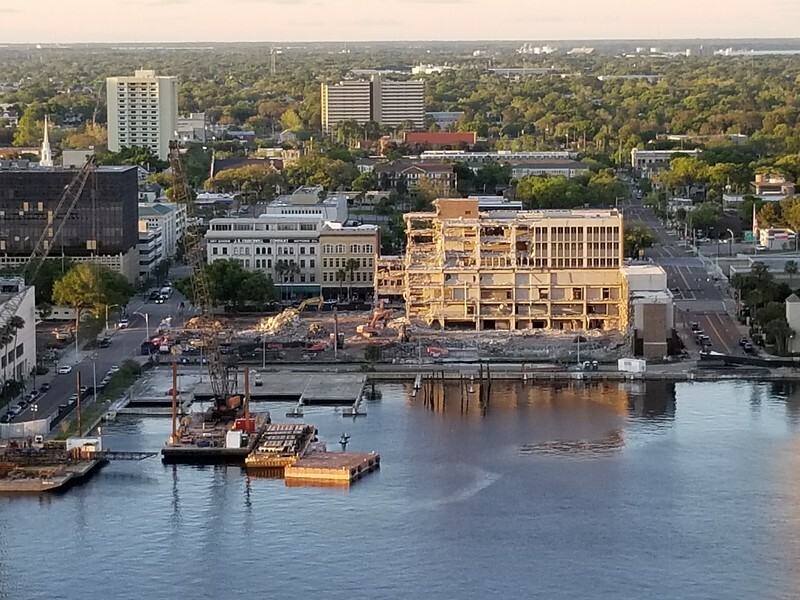 Demolitions like this indicate that preservation and adaptive reuse, especially of mid-century structures, are still not seen as a go-to method for economic revitalization in Downtown Jacksonville. 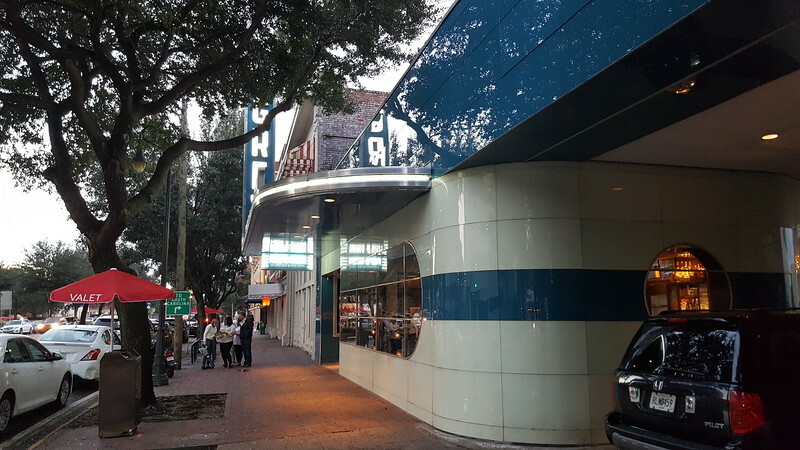 A former Greyhound bus station in Savannah that has since been retrofitted into a restaurant and bar called The Grey. Food & Wine Magazine named The Grey their Restaurant of the Year in 2015. In 2018, Time Magazine named The Great ‘One of the Best 100 Places in the World’. Executive Chef Mashama Bailey has been the first African-American woman nominated for best chef at the prestigious James Beard Awards. The last privately-developed structure to have been constructed in the Northbank was the 2014 opening of a six-story, 600-space parking garage adjacent to the then-Suntrust Tower. Community feedback led to a salvageable site design, despite the structure being built without ground-floor retail. 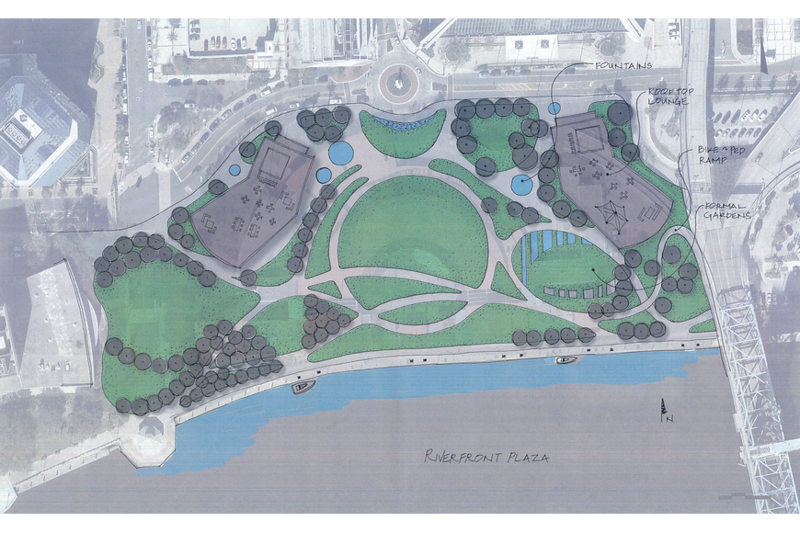 The $10 million structure was made possible through the use of $5.1 million in public incentives ($3.5 million in upfront cash with an additional $1.6 million in parking validation payments). 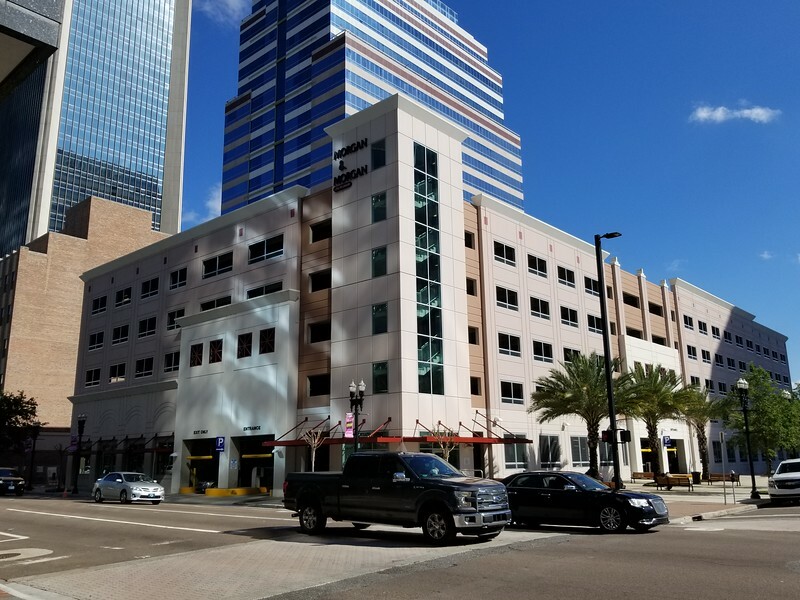 Vystar Credit Union purchased the adjoining office tower and parking garage in 2018. Parador Partners constructed this parking garage along Hogan Street in 2014. This was the last, privately-developed structure to have been developed in the Northbank. A 1,375-space parking garage adjacent to the new Courthouse was opened by Metropolitan Parking Solutions in 2007. 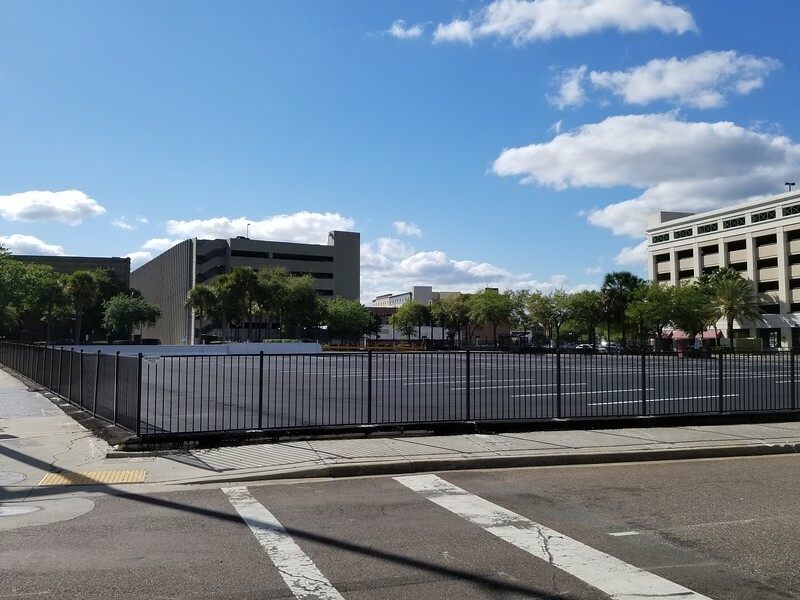 This garage is one of three privately-owned parking facilities, the other two being located in the Sports District, whose construction was financed through the use of bonds issued by the City of Jacksonville. The City subsidizes the operation of all three garages, and since opening, have directed almost $50 million in operational subsidies to the owners. 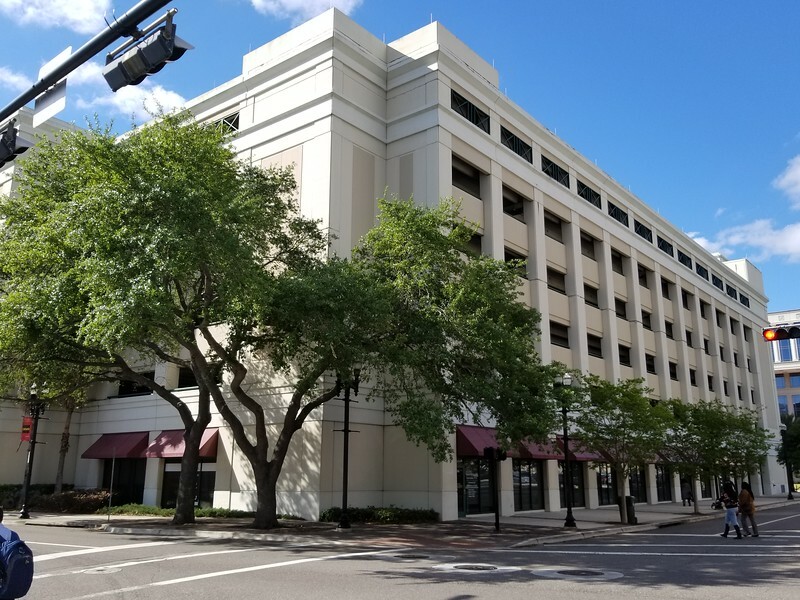 Metropolitan Parking Solutions owns this parking garage adjacent to the Duval County Courthouse. Before that, the last new, privately-developed structure to go vertical on Downtown’s Northbank was the construction of the $126 million, 950-room Adams Mark hotel (now the Hyatt Regency) and the $36 million, 22-story condo tower and townhomes at Berkman Plaza in 2001. More than $21 million in public incentives were given to the Adams Mark project, while the Berkman project received a $9.3 million incentive package. 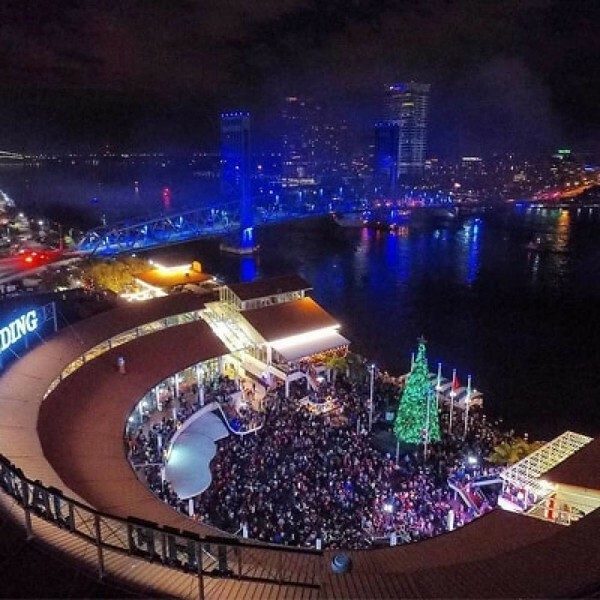 Despite being a community gathering space for Jaxsons and a major destination for hotel guests since 1987, the City of Jacksonville is preparing to tear down the Jacksonville Landing instead of considering proposals to reuse the structure. Norfolk’s Waterside District and Tampa’s Armature Works offer great examples of what could exist through an adaptive reuse of existing buildings. Jacksonville may be the only city to outright demolish and not replace its version of a festival marketplace. Ready-to-market retail and restaurant space is poised to become “passive green space��� once the Jacksonville Landing gets leveled. Bulldozers could begin demolition as soon as this fall. Later, we’ll chronicle how almost all of the new business growth that has happened in the Northbank over the last two decades have all been the result of adaptive reuse projects. Given that truth, why should ready-to-market retail and restaurant spaces housed within the Jacksonville Landing be torn down? The Landing property already has built-in infrastructure like dumpsters, loading dock facilities, sewer hookups, grease traps, hoods, ADA-compliant restrooms and HVAC systems in place. Laying waste to turnkey commercial space seems to ignore some basic economic realities. Based on recent history, businesses simply aren’t flocking to the urban core by building new, ground-up structures.